Are We There Yet?? : I've Been Awarded and Tagged! Thanks for thinking of me! 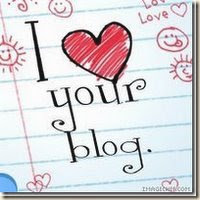 I just gave you an award at my blog (before you gave me this one). GMTA! I'll get to work on this soon. I like your middle name... C'mon Jean isn't THAT bad... is it? LOL! wow we are getting to know you inside and out. nice info. shew, not tagged again! made it! so your post got me to wondering....what do you and I have in common?? Well, This is a darn good post girl friend. Have a great day at work! Congrats on getting such a nice award from a fellow blogger. I'll have to check out her work. Joan also tagged me for that meme. I don't think I can come up with four of everything. P.S. I can't sing either! The more we do the harder it gets right? Thanks for playing along. You're a great blogging buddy!